Do Some Good allows you to get to know your colleagues at a much more meaningful level. Learn what organizations and causes they care about, volunteer together and begin to build stronger team camaraderie among your colleagues! NOTE: This feature may not currently be part of your company’s package. If it’s not, encourage your admin to contact us at sales@dosomegood.ca to learn more or upgrade. 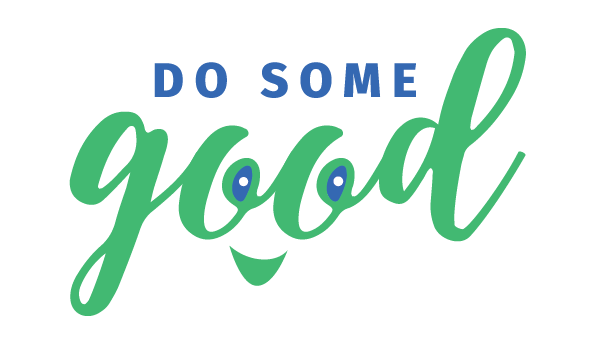 New Employee joins Do Some Good: send them a Welcome message by either going to their profile (by clicking their name) and pressing 'message', or by pressing the mail icon in the top right, then 'create message' and typing the first 3 letters of their name to find them. You may also choose to publicly welcome them by creating a post and adding a fun picture! In the post you can use the @ symbol, followed by typing your co-worker's name (and your business') to mention them, so all employees can easily click on their name to view their profile. Employee applies for new position: not only can you see the great work your fellow colleagues are involved in, you can also click the position and choose to apply for the same position or event to begin to build teamwork by volunteering together! Employee hits volunteer milestones (when hours reach 1,5,10,20,50,100): This is your chance to show your colleagues you care. 'Great work!' goes a long way when it comes from a fellow co-worker. Again, you can choose to congratulate your co-worker by sending a private message or by sharing a post and mentioning your co-worker (and employer). Employee receives a testimonial: this is a great way to learn more about the great things your colleagues are doing and that they are being recognized for their contributions. Send a congrats to your colleague via message, story or in person!